Equipment: inappropriate footwear (no support where they need it), new shoes (not run in – should have 2 pairs going simultaneously). Environment: camber of the road (the leg running on the high side has increased pronation/internal rotation and vice versa), surface (grass vs turf vs concrete etc), the “give” of the surface, the smoothness of the surface (rate of shock absorption), the evenness of the surface (grass needs improved proprioception/coordination to run on it), adding in hills if usually runs on the flat, etc. Physiotherapists are trained in the assessment of lower limb biomechanics, including lumbo-pelvic control and mobility, foot position, hip range of motion, and muscle control of the hip, knee and ankle. 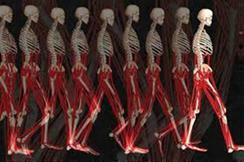 Proprioception and balance are also essential components of assessment and rehabilitation of lower limb dysfunction.